This has probably been covered about a million times on the net, but I have included it to complete my previous post on Installing Umbraco Visual Studio Install using Nuget. To sign up for Azure, please click the following link: http://azure.microsoft.com/en-gb/pricing/free-trial/. 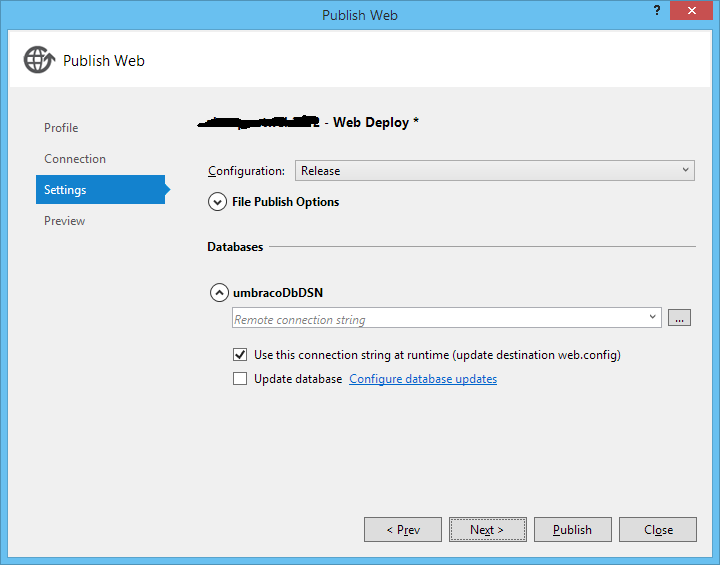 This link covers in more detail setting up a web application in Azure for the first time http://azure.microsoft.com/en-gb/documentation/articles/web-sites-dotnet-get-started/. I am going to be a bit briefer here in this post. The following page appears. 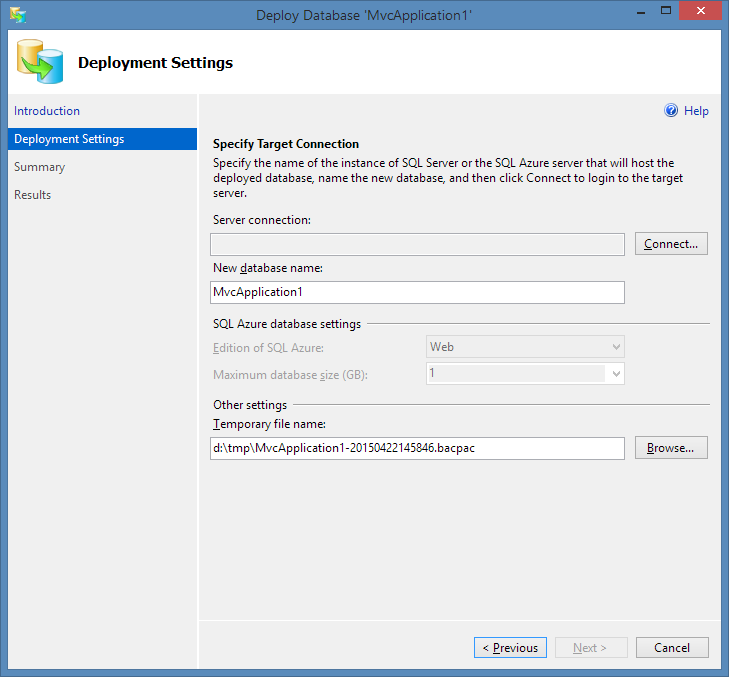 You should connect to SQL/Azure (assuming you have opened the Firewall at the Azure end) and enter the connection details for your Azure database server, along with the name of the new database. 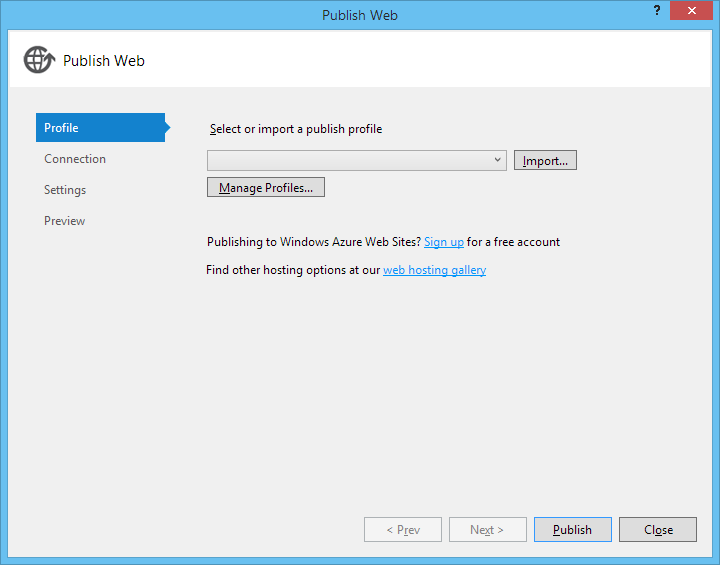 Go to your Azure portal and create a web application using quick start. No need to specify any database details at this point. 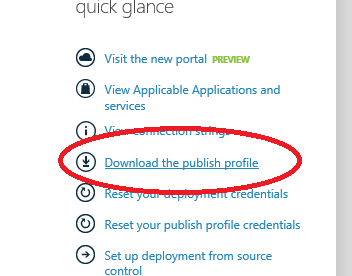 After the web application has created, go into the dashboard for it and on the right hand side, you should choose the download the publish profile option to download the publish profile to your local machine. The final step is to right click your project and click Publish, and then at the first step Import the publish profile into Visual Studio. See below. You also need to specify the connection string that the web app will use to connect to your Azure database. 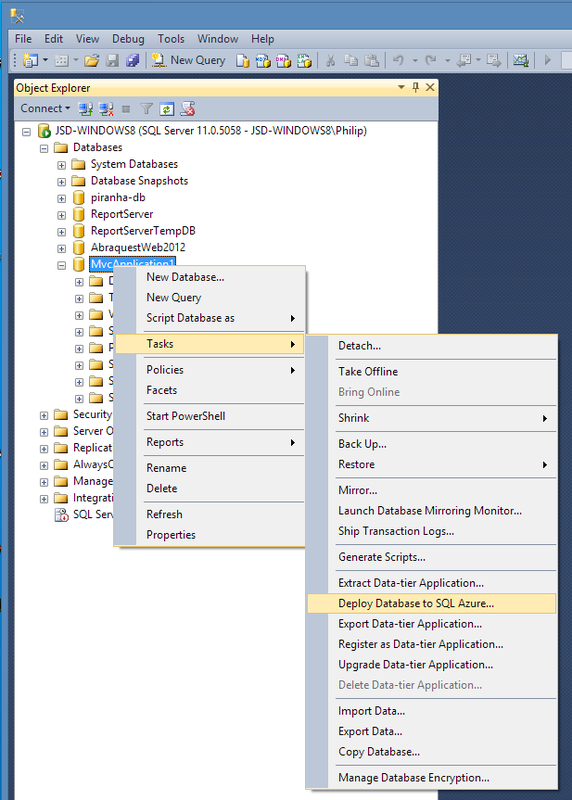 This information is available in the Windows Azure Management Portal for your database – there is an option to show the connection strings. You should use the ADO.NET connection string listed on this page in the Windows Azure Management Portal. I hope somebody finds this useful. For sure, deploying to Azure is easy enough, but setting up Umbraco via Nuget was not.